The Digital Hub, Ireland’s largest cluster of technology, digital media and internet companies, sees 2019 as a pivotal year in which its vision to create a diverse and creative digital technology quarter in Dublin 8 gathers momentum. The emergence of creative digital media and health-tech enterprise sub-clusters within the campus is set to continue and build on the existing companies from these specialist sectors already located in The Digital Hub. 2019 will also see the development of a Masterplan related to a 2.6-acre site on the lands of The Digital Hub known as the ‘Windmill Site’. This follows a year in which nine companies within The Digital Hub scaled their presence taking on additional office space, and eight new companies moved into the campus. Last year also saw The Digital Hub introduce new initiatives such as an Artist-in-Residence programme and a series of public digital art exhibits. According to Fiach Mac Conghail, Chief Executive Officer at The Digital Hub: “2019 will mark a new chapter in the continued evolution of The Digital Hub. We are very excited about the mix of companies we now have at The Digital Hub and in particular the emergence of a cohort of companies from both the creative digital sector, including Gingerbread Animation and CB Media, and companies from the health-tech space including patientMpower and Neuromod. 2019 will see work progress on the development of a Masterplan for The Digital Hub’s 2.6-acre ‘Windmill Site’, located on the north side of Thomas Street, Dublin 8. 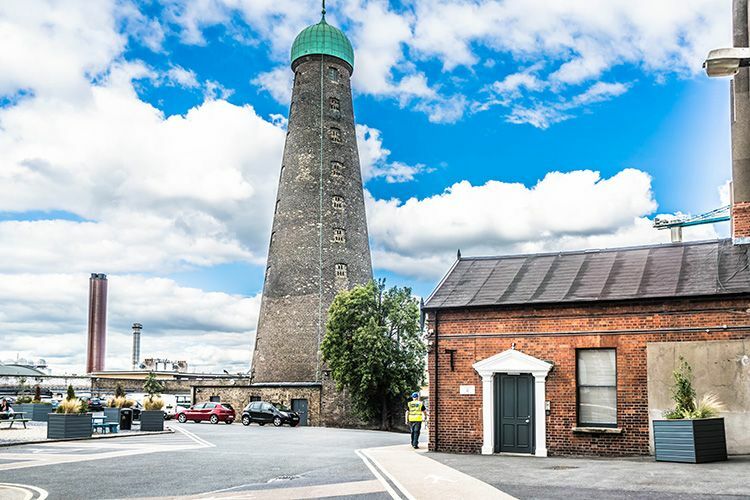 The site incorporates the well-known landmark of St. Patrick’s Tower and two of The Digital Hub’s flagship office spaces, ‘Digital Depot’ and ‘The Grainstore’. Work on the Masterplan for the ‘Windmill Site’ will be conducted on a phased basis with the initial focus on completing a cost-benefit analysis and feasibility study for the site. It is expected that the Masterplan will be concluded by the end of 2019 and will likely comprise of a mixed-use development including potential for a public space amenity. In its outlook statement for the coming year, Fiach Mac Conghail also highlights how The Digital Hub cluster continues to experience a growing demand from within its base of enterprise companies to support their need to scale while remaining in The Digital Hub. Last year alone, nine companies on the campus expanded and took up additional office space. This trend of enterprise scaling is expected to continue as tech companies enjoy a period of growth over the coming 12 months. Following the expansion of existing companies based within The Digital Hub, the cluster now numbers over 70 established businesses, employing almost 750 people as at the beginning of January 2019. In the past 12 months, eight new companies moved into The Digital Hub. Among the new companies who have now moved to The Digital Hub during 2018 is Full Health Medical, a health-tech company that was established in 2011. The company, which currently employs twelve people including five located at The Digital Hub, has developed a software platform for preventative healthcare, converting complex medical data into easy to understand reports with a personalised action plan for individuals to prevent and manage serious illness. Other companies of note to have moved to The Digital Hub in 2018 include Black Shamrock, a fast-growing games development company specialising in strategy and role-playing games for PlayStation 4, Xbox One and PC, a US e-procurement specialist firm PunchOut2Go and Ireland’s largest independent film distribution company Eclipse Pictures. The Digital Hub currently has just over 70,000 sq ft of useable office space located across nine buildings, with a current occupancy rate of approx. 85%. The Digital Hub Development Agency is the Irish state agency that manages The Digital Hub. The Agency was established by the Irish Government under the Department of Communications, Climate Change and Environment and plays a key part in supporting the implementation of the National Digital Strategy.